In one of my job interviews for a data scientist position, I was given a home assignment I’d like to share with you. The interviewer sent me a CSV file containing samples of measured quantities x and y, where y is a response variable which can be written as an explicit function of x. It is known that the technique used for measuring x is twice as better than that for measuring y in the sense of standard deviation. 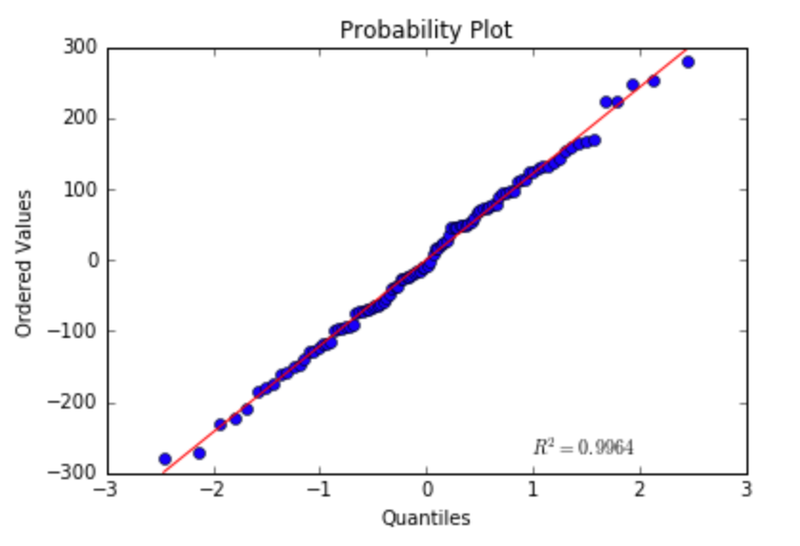 The task: model y as a function of x.
fitting a line through the dataVisually it looks compelling, but I’ll validate linear regression assumptions to be assured I’m using the right model. 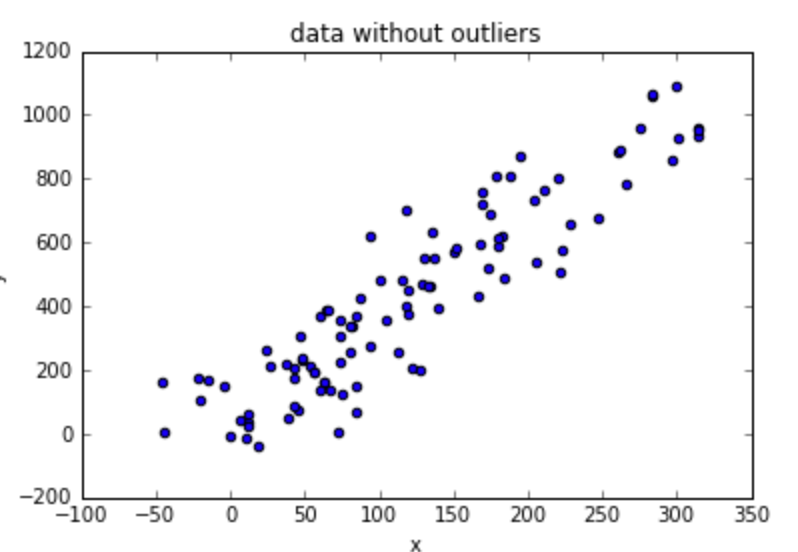 If you’re not familiar with the linear regression assumptions, you can read about it in the article Going Deeper into Regression Analysis with Assumptions, Plots & Solutions. 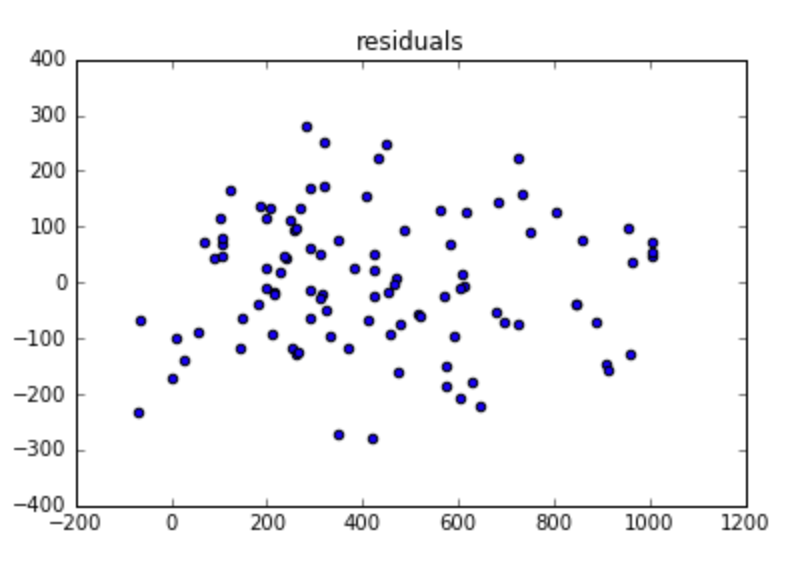 It seems like there’s no autocorrelation in the residuals. Heteroskedasticity also doesn’t look to be a problem here, since the variance pretty much looks constant (except for the left part of the plot, but there’s not a lot of data, so I’ll ignore that). Multicollinearity is not relevant here, since there’s only one dependent variable. We got a consistent estimator of the parameters required for calculating y given x (where both have measurement errors), or in other words, the line’s coefficients. 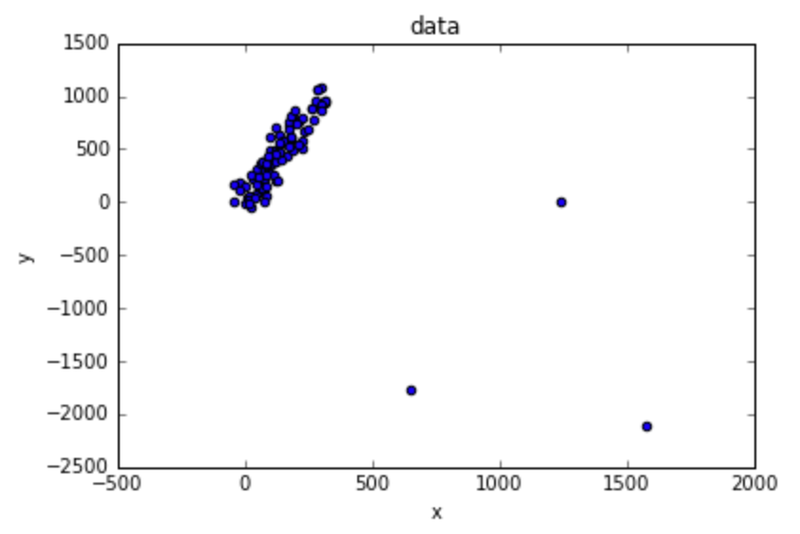 Up until now all I’ve done is plain old linear regression. The interesting thing about this task is that x has measurement error (which is typical in real world use cases). 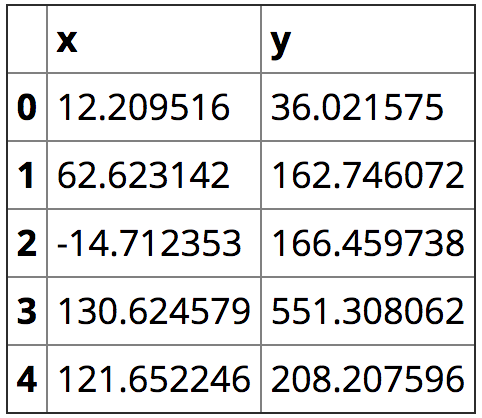 If we want to estimate the parameters required for calculating y given the exact x value (without measurement error), we need to use a different approach. 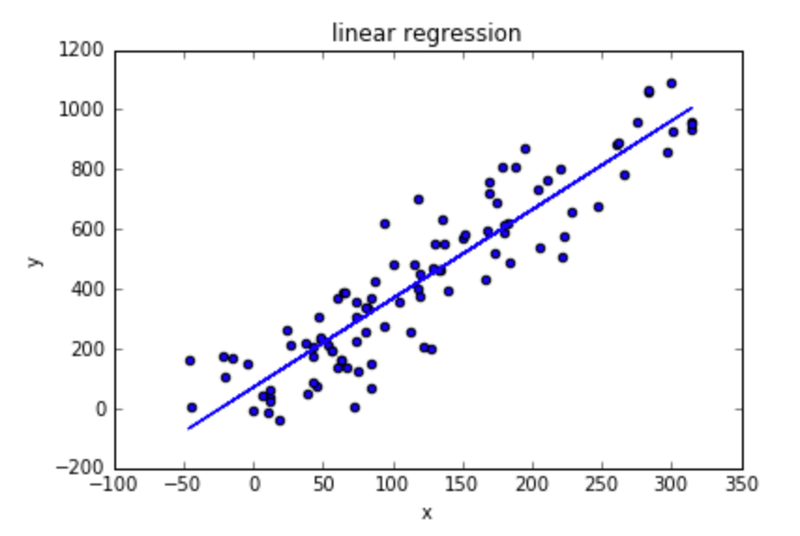 Using simple linear regression without accounting for x being random with noise results in line slope slightly smaller than the true line slope (the line describing x without measurement errors). You can read this wiki page to learn why. The technique used for measuring x is twice as better than that for measuring y in the sense of standard deviation. So in our settings, δ is 2 squared. 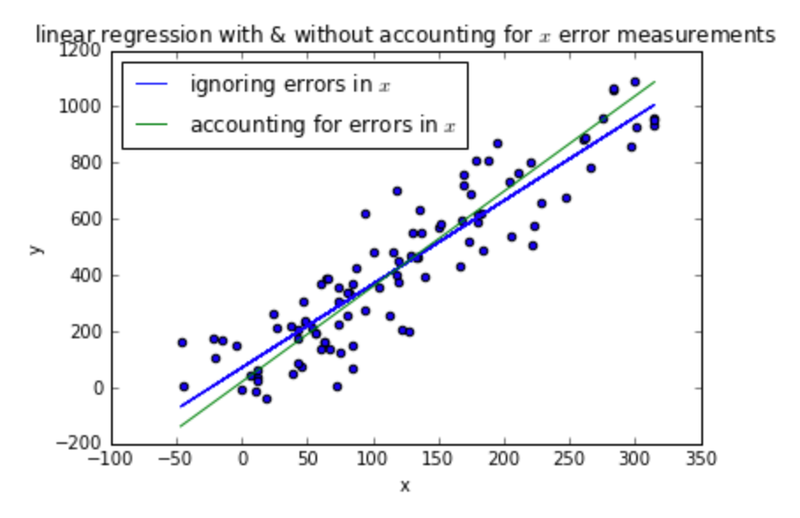 We have fit two models: one is a simple linear regression model, and the other is a linear regression model that accounts for the measurement errors in x. The more simple one may be enough if our purpose is to calculate y given a new x that has measurement error (resulting from the same distribution as the measurement errors used when training the model). If we want to state the true relationship for y as a function of x in a world without measurement errors, we should go with the second model. 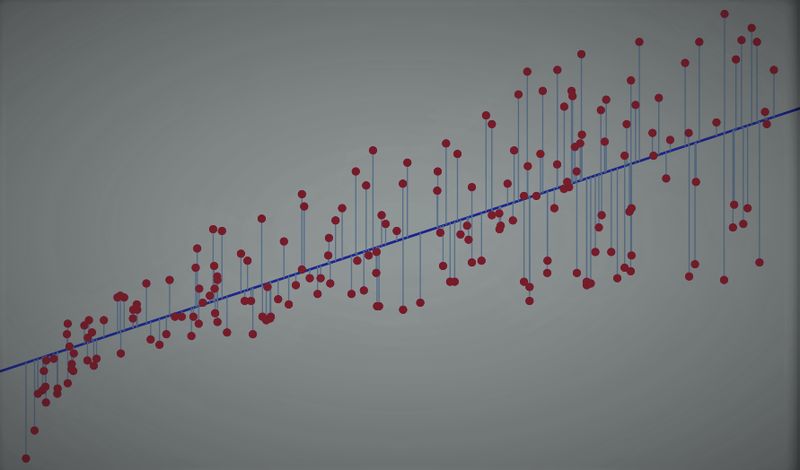 Although this isn’t really an example for linear regression in the wild as the title suggests (ok, I lied), this post does demonstrate an important concept many people don’t attend: the dependent variables in many cases are measured in an inaccurate way, which might need to be accounted for (depending on the application). Bio: Yoel Zeldes is an Algorithms Engineer at Taboola. Yoel is a a Machine Learning enthusiast, especially enjoying the insights of Deep Learning.